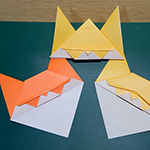 Hina Dolls are very risky, if you have cats in your house. 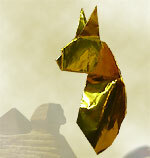 They are always eager to play around, climb, and mess about. 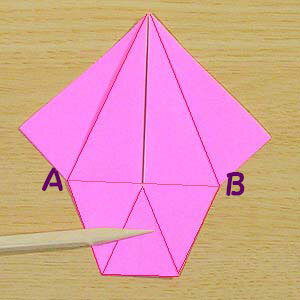 It might be better for your nerves to forget about the expensive traditional Hina Dolls, and put Origami Dolls instead. 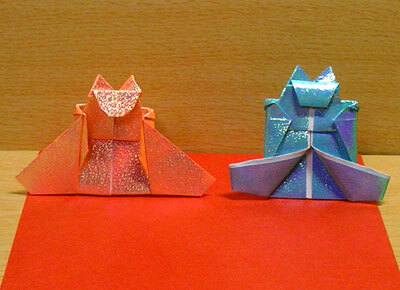 Even better, if they are Cat-shaped Dolls. 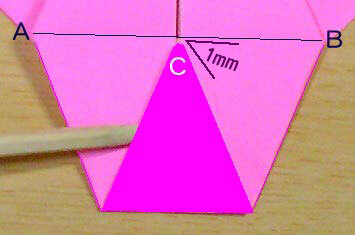 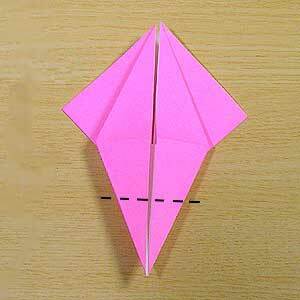 Fold the "point C" to the" centerline AB"; not presicely ON the line AB, but a fraction BELOW (1mm) the line. 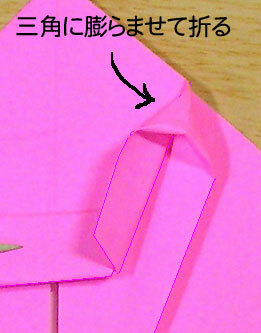 This little adjustment makes the next fold easier. 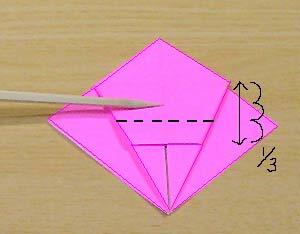 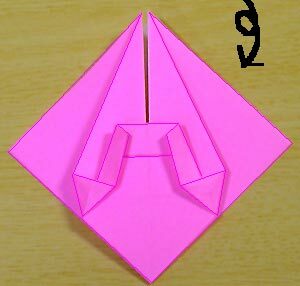 Fold about up to 1/3. 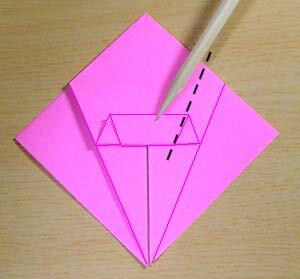 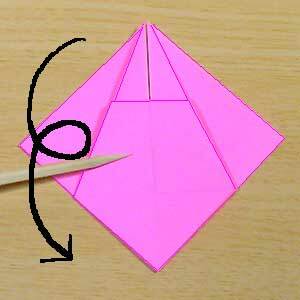 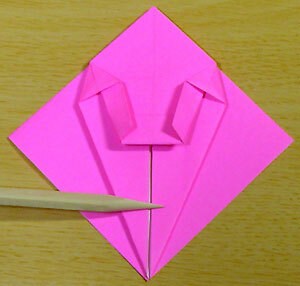 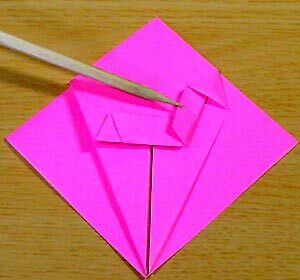 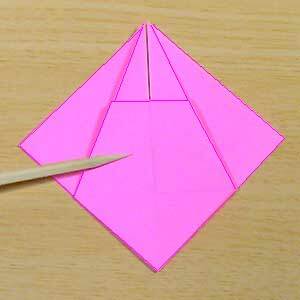 Make sure that the lines flatten into a triangle. 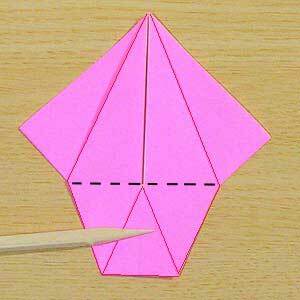 Do the same on the other side too, then, turn upside down.